We are pleased to announce the appointment of Jordan Shuttlewood as Head of Marketing and Communications. Combining marketing and new business responsibilities, this is a new role created at MediaSense in response to unprecedented demand for its products and services from domestic and international brands. Jordan has 20 years’ experience in the media industry in UK and international roles. 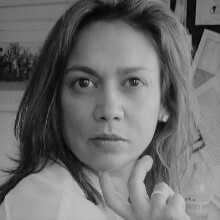 She previously worked as Head of Marketing for Mindshare, and before that, Regional Head of Marketing and Communications for OMD EMEA.